This leading text introduces the whole range of major theoretical approaches to the study of International Relations in a way that really gets students thinking. Each theory is placed within context and discussed in juxtaposition to other theoretical approaches, and each chapter is written by a leading expert on each approach, giving the student an excellent view of the latest developments. The new edition has new chapters on historical sociology and international political theory and has been thoroughly updated. This successful and popular textbook provides a systematic and comprehensive introduction to the main theoretical approaches in the study of international relations. Written by a team of leading scholars from around the world, the core chapters each present a detailed and critical analysis of the key theories prevailing in the discipline, from realism and liberalism to feminism and post-structuralism. 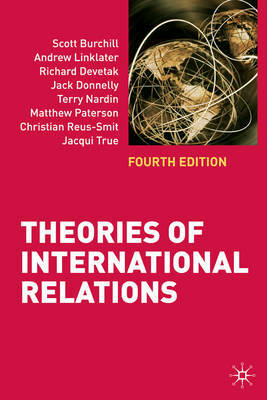 These are set in context by an introduction assessing the importance and role of theory in the study of world politics. This fully revised fourth edition includes entirely new chapters on Historical Sociology by Andrew Linklater and International Political Theory by Terry Nardin.